Most filters block content which often hinders you from viewing legitimate sites that you wouldn’t consider harmful. And even the best filters are not perfect. Covenant Eyes Software is different by offering an added accountability feature. Covenant Eyes keeps a record of all internet activity that is impossible to circumvent, unlike the history in your browser that can be deleted. Covenant Eyes teaches safe browsing habits through email reports. This is ideal for older teens and adults. Just knowing that an extra set of eyes is watching, help keeps your family members responsible when surfing the internet, including Google. Basically, a user knows that any website they visit will also be seen by their accountability partner, such as a parent or guardian. Email reports are not cumbersome. Bad websites are highlighted to produce an easy to view history report of where a user has been online. Those keeping an eye on a users internet habits can also log in anytime to see a recent history. Beyond accountability, Covenant Eyes still allows you to block content based on the age. It can also decide the times of day the internet may be used, and decide how much time per day or per week the internet may be surfed under each username. Choose whether to block or to allow specific websites, and this option can be applied differently to each user. Covenant Eyes can be used to help block instant messaging, file sharing, and other protocols. Finally, you can decide which members may or may not override the filter while keeping the accountability feature active. Covenant Eyes Software is downloaded to a computer. Covenant Eyes keeps a complete and accurate record of all web usage. Accountability Partners, selected by the user, receive reports by email about internet activity. Our unique dynamic scoring system highlights questionable sites, making the report easy to read. 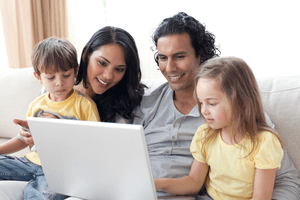 Covenant Eyes provides an economical solution to internet filtering for the entire family. The accountability feature works ‘hand in hand’ with our Google search filtering. For younger kids, you should also employ the full internet filtering feature which Covenant Eyes provides. If you choose to implement filtering using the Covenant Eyes Software, we encourage you to also use our website, as there may be different levels of filtering applied to various members of your family. 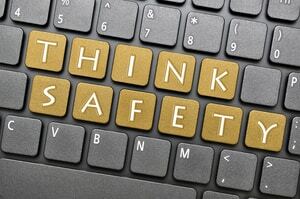 Internet Filters are designed to keep offensive and dangerous websites away from your computer and your family. However, they should not trusted to replace parental supervision and guidance on safe browsing behavior. Covenant Eyes analyzes each website visited and blocks or allows them according to each user’s sensitivity settings. The Covenant Eyes Filter requires an ‘uninstall code’ in order to remove it from the computer. If the program is uninstalled, all users and accountability partners receive an email that the Covenant Eyes is no longer tracking usage. As mentioned, you can choose to not have a lower level of filtering for older family members. At it’s most basic level, the software program instills positive browsing habits through accountability and reduces the risk of developing addictive behavior. Parents should also consider controls for very young children spending time online. Some users are adults who choose to resist temptation on the internet by remaining accountable to a friend or spouse. Download and Try Covenant Eyes!